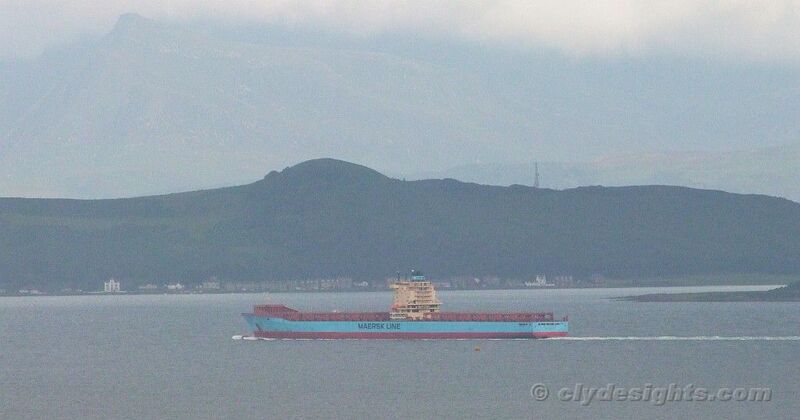 Seen heading downfirth, MAERSK BENTONVILLE, the second last of the five Maersk sisters to have been laid up in Loch Striven, was making good speed past Innellan. With Toward Lighthouse on her starboard beam, she was heading towards the pilot station at Little Cumbrae where she would slow down again to around 8 knots. 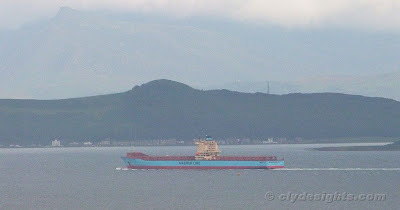 A mile or so north of the pilot station, MAERSK BENTONVILLE was beginning to reduce speed considerably as she passed Kilchattan Bay on Bute. Once clear of the Clyde, she would be heading for Le Havre to take bunkers before setting sail for Charleston in the USA, and a return to service.